Coleco fans, the time has arrived to reserve your very own piece of home arcade history! We are proud to announce that our first Coleco Mini Arcade machines in over 35 years are now available for preorder on Kickstarter! 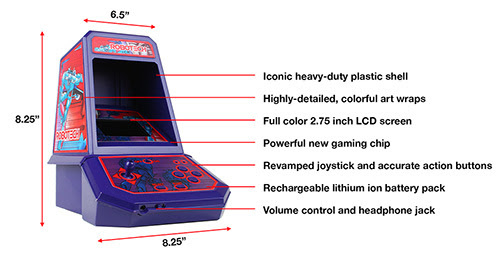 Coleco Evolved Mini Arcade machines preserve the classic shape and heavy-duty plastic shell construction you remember from the 80s with updated technology inside to create a modern arcade gaming experience.